Sounds of Christmas in shopping centre, Ljubljana, Slovenia. On 13th of December 2017 our team recorded what does Christmas shopping sounds like. Amongst many recordings we choose to publish the most interesting and also the loudest one. Company Vezenina (Embroidery) revives the tradition of handmade embroidery. 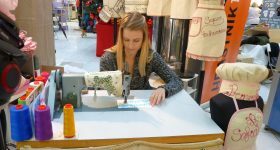 Although they have a small workshop in the city centre of Ljubljana, they also have a Christmas stall in the shopping centre. 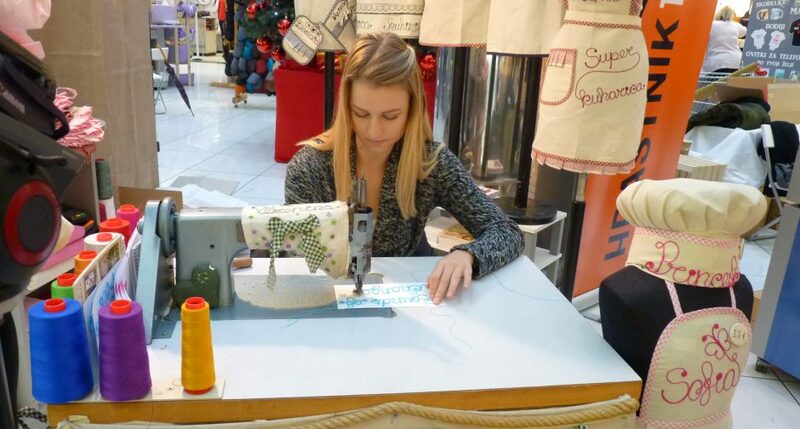 Highly skilled demonstrator Nina Kozamernik managed to embroide different signs in just few minutes. On this recording the embroidery says: Sounds of Changes.